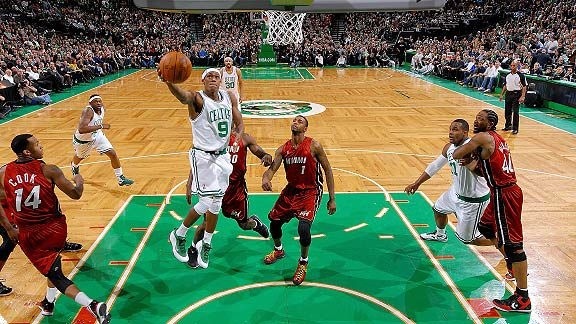 Last night the Celts took their talent to South Beach and dominated the Heat at home. Keep in mind they’ve only lost four games all year at the American Airlines Arena. The red hot C’s have now taken two games from the Heat in ten days, pulling three games ahead of Philly for the division lead. A few months ago the Celtics wouldn’t have even been a topic of discussion come May, but post All-Star break has been good to them. 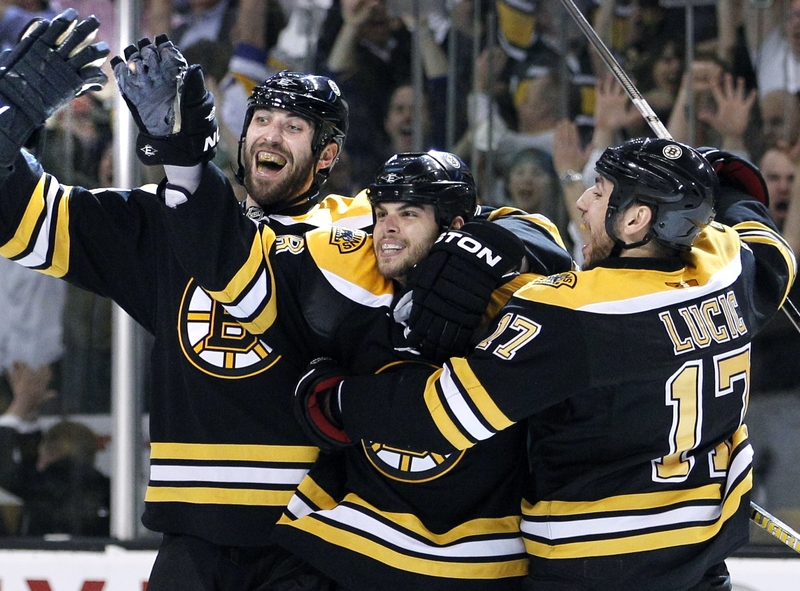 They’ve gone from a team presumed to be ousted first round to a team that has potential for a strong playoff run. Life is good in Beantown right now. Hard to complain when we’ve got the Celtics picking things up in the second half of the condensed season, the Bruins heading full speed into another playoff run, and a hefty 157 game schedule left ahead for the 1-4 Red Sox to turn things around. Oh, and word on the street is that Gronk’s out of the running for the Madden cover so we don’t have to worry about any curse breaking both his legs. Knock on wood. According to many sources, Kansas Jayhawks’ forward Thomas Robinson will announce his intent to play in the NBA later today. This is no surprise to anyone, and he is #4 on the big board for ESPN. Robinson has decided to not return to Kansas for his senior season. 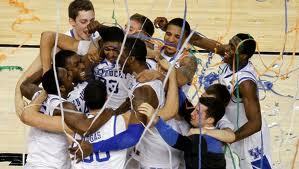 As a Junior, Robinson averaged 17.9 PPG and 11.8 RPG, before losing to Kentucky in the Finals a w eek ago. Robinson didn’t even start his Freshman or Sophomore years, averaging at most 14 mins per game. Last year, however, he averaged over 31. He is a great defender and a force on the boards. Good luck Thomas! Rajon Rondo must love playing on national television. I’m sure you’ve already heard but Rondo had his 18th triple double last night. Of those 18, 14 of them have come on national television. 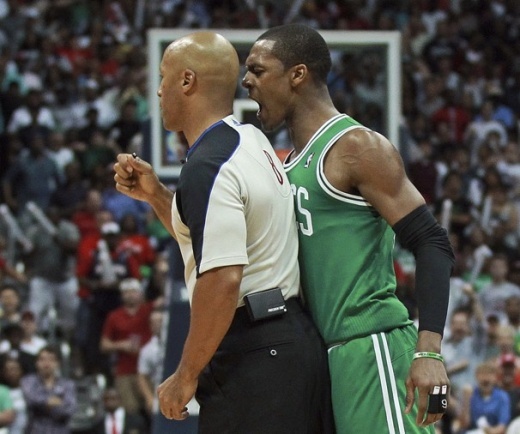 Rondo used and abused his way around the court against Mario Chalmers and Norris Cole for 16 points, 14 assists and 11 rebounds. 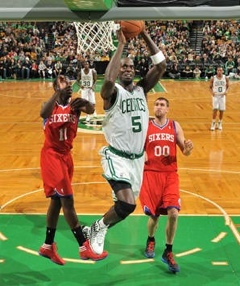 Pierce scored 23 for the Celtics, as all the starters had double figure points for the night. The Celtics won 91-72 to move to 30-22 overall and are in 4th place now with a full game lead over the Philadelphia 76ers. The Heat fall to 37-14 on the season, LeBron James led the way with 23 points and Wade was 2nd with 15. Chris Bosh had only 4 points on 2-11 shooting. The Heat were -30 while LeBron James was on the floor. The Celtics are quickly looked upon as title contenders. After weeks of talk of throwing this season away, they are now in danger of becoming overrated by the fans and ESPN. Since the injury to Ray Allen’s ankle, they have been on a 5 game winning streak. The combination of Rondo-Bradley backcourt has been phenomenal so far, and I wouldn’t be mad at Doc if he stayed with the lineup when Ray comes back. Doc has to get a lot of credit for the team this year, rolling with the punches and just continuing on. The Heat shot 7-17 from the line; compared to 20-22 for the Celtics. Rondo has 13 consecutive games with at least 10 assists. LeBron had 0 assists for the 2nd time in his career. Celtics are now 5-0 since Avery came into the starting lineup after Ray’s troubling ankle issues. He played Wade even last night scoring 13 points when Wade only scored 15. But Wade took seven more shots. Avery’s cutting has been big in the past few games, keeping defenders honest by back cutting and then surprising them with his ever improving jumper. His confidence just keeps growing and growing. He went 5-10 from the floor last night and 1-3 from 3. Avery had this monster block on Dwayne Wade last night. 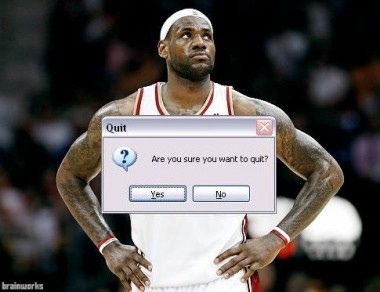 Pretty much summed up the night for the Heat. I’m telling you guys, Avery Bradley’s going to do BIG THINGS.